The full-time MBA program at ICS is a highly competitive program for professionals with global ambitions. The program provides an ideal learning environment, where you can develop your business skills and connect with talented and ambitious individuals. At Hitotsubashi ICS in Tokyo, Japan, the MBA program works to develop a new generation of global leaders with the skill to navigate an international and Asia-centric marketplace. During the one-year program, you will enrich your business perspective with a new angle: study business administration from Japan's perspective and incorporate it in a global business model. The program covers international best practice in business administration and specialized skills in International Management and Finance, Business Ethics, Organizational Behavior, Marketing, Strategic Thinking and more. In addition, you will gain first-hand experience doing business in the Japanese, Asian and international contexts and the expertise to create various perspective for a shared vision. Hitotsubashi ICS has a small student body, which provides each candidate with the opportunity to engage and build lasting relationships with faculty and mentors. With only 3 students for every member of faculty, MBA candidates have the unique possibility of getting to know their classmates intimately by working in small groups throughout their project work. Effective business practices are at the center of the Hitotsubashi ICS MBA curriculum. You will be exposed to leading business and management concepts that will provide you with key understandings, rather than simply the "right" answer. With a holistic understanding of diversity, an tolerance for ambiguity, the skills to combine opposite forces and the courage to challenge conventional wisdom, you will become able to innovate your way to success. The 1-year MBA curriculum provides a universal management model that suits both the international business sphere and Japanese and Asian business markets. Providing a unique perspective to Asian business practices, you will also be exposed to popular and progressive schools of thought and case studies used in Asian business models. 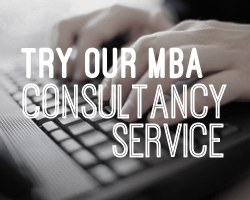 Each MBA cohort is limited to 50 students. This small class size ensures that each candidate receives every opportunity to engage with faculty and develop meaningful relationships with their peers. The program is highly international and is ideal for both Japanese and non-Japanese students. Those who have completed specialized courses after the date specified by the Japanese Minister of Education, Culture, Sports, Science and Technology at vocational colleges offering programs of four years or more and recognized by the Japanese Minister of Education, Culture, Sports, Science and Technology. Those who have enrolled in a graduate school through an early admission system under the second paragraph of Article 103 of the School Education Law of Japan, and the Admissions Committee of Hitotsubashi ICS judges the applicant to possess the academic competence to undertake graduate studies. Those whom the Admissions Committee of Hitotsubashi ICS has judged to have an academic competence equivalent by individual admissions screening, and those whose age is over 22 years old. Those whom the Admissions Committee of Hitotsubashi ICS has, pursuant to its rules and regulations, judged to have an academic competence equivalent. At the end of the program, successful candidates receive a Master of Business Administration (MBA), from Hitotsubashi University, recognized by academic and professional bodies from all over the world. There are several scholarships available to foreign students. These include faculty merit scholarships and company scholarships. The scholarship situation varies year by year depending on donations from companies and faculty. Currently, more than half of the Japanese students enrolled in the MBA program at Hitotsubashi ICS are sponsored by their employers. Hitotsubashi is among 5 Japanese business schools participating in the Young Leaders program (YLP). This program works to develop professionals with the talents to contribute to the fostering of relationships between Asian nations and the future development of Asian and non-Asian countries. During the year, all candidates must complete 50 credits of courses. This curriculum has been designed to provide a global perspective to business and explore Asia's role in the international marketplace. Candidates will earn the knowledge and skills needed for leading role in a global economy. The Hitotsubashi MBA has the support of many intellectual collaborations with some of Japan's leading companies to deliver sponsorships and research alliances that contribute to an understanding of institutional and cultural diversity. Study your MBA in Japan at Hitotsubashi ICS!